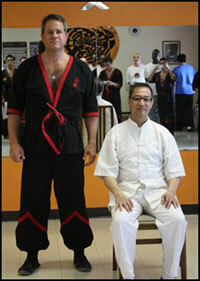 It was another great week with Grandmaster Leung Ting. 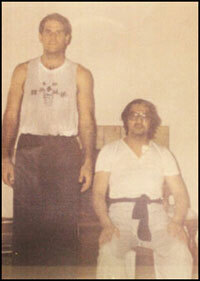 Sifu taught two five hour sessions on Saturday and Sunday. The focus this time for the technicians was on lat-sau (free fighting) and applying techniques contained in the Biu-Tze and Wooden Dummy forms. 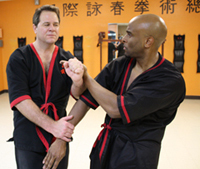 The student grades were taught Siu Nim Tau and Chum Kiu applications. In addition to the regular seminar and private lessons, Sifu taught a special session for technicians on Friday, which exclusively dealt with the concepts and applications of the Biu Sau technique. All in all, everyone had a great time, and it was an extremely productive week!